“Discussion for most of the seats for Gujarat election has been done and the list will be declared at the right time,” Union Minister JP Nadda said. 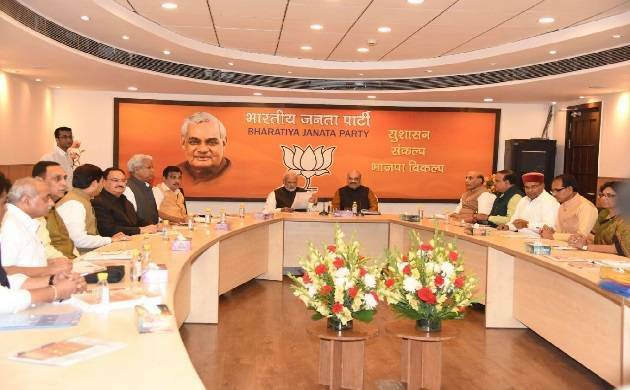 BJP's Central Election Committee (CEC) on Wednesday met at party headquarters to discuss the candidates for Gujarat Assembly elections which will be held on December 9 and 14. After CEC meeting, Union Health Minister JP Nadda said the discussion on names for most of the seats for Gujarat election has been done and it will be declared at "appropriate time." While speaking on the list of Karnataka legislative, a list has been declared for all the six seats, and it will be published on the website. The meeting was attended by Prime Minister Narendra Modi, BJP president Amit Shah, Sushma Swaraj, Nitin Gadkari, Rajnath Singh, Gujarat Chief Minister Vijay Rupani, Deputy Chief Minister Nitin Patel and other senior leaders of the committee.